Martin Moone, also known as Moone Boy, is eleven years old and fed up with being the only boy in a family full of girls. So when his best friend suggests that get an imaginary friend (IF for short) he decides to give it a go. This funny collection of books is based on the television show Moone Boy, starring Chris O'Dowd. The first book, Moone Boy: The Blunder Years (affiliate link), introduces Martin and his first attempts at finding an imaginary friend. The story continues in Moone Boy 2: The Fish Detective (affiliate link) and in Moone Boy: The Marvellous Activity Manual (affiliate link), written from the point of view of Sean 'Caution' Murphy, Martin Moone's BIF (Best Imaginary Friend) the reader can take part in a variety of games, puzzles, jokes and crafts to find their very own Imaginary Friend. The Marvellous Activity Manual is divided into seven Yections - a Yection being a small section of the year. 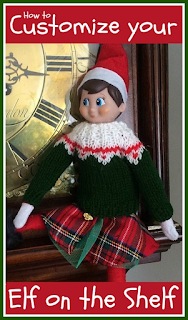 There are seven Yections, and as part of the blog book tour I was challenged to complete one of the activities in Yection 4 - Golden Days, the part of the year from the 20th May to the end of the school term. There's a fun multiple choice quiz, a comic story, and a Moone Dictionary with lots of Irish slang. The activity is Whif Whist - to help with the research for creating your own imaginary friend you can make some score cards to see which characteristics you'd most like in your own IF. I made up some simple blank cards for Harry and then printed out a page of cartoon faces - you could also draw your own or use pictures cut from a magazine. 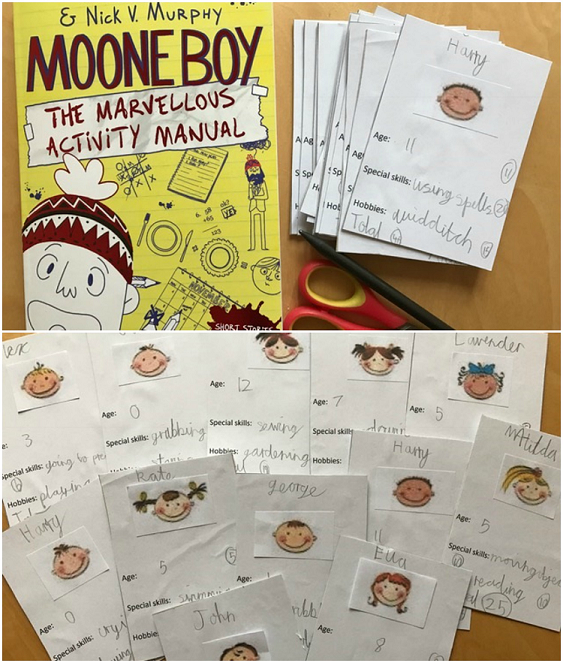 Then he chose a face, came up with a name, and wrote down the key information about his potential Imaginary Friend - Age, Special Skills and Hobbies, giving each characteristic a score. We backed the cards with thin cardboard. He had great fun making the cards, and then when there were finished we were able to play the game with them! These books are a lot of fun. They are amusing, and written in a style that will definitely appeal to young readers. The text is interspersed with cartoons and diagrams, and there is a lot of humour. Perfect for Harry! I received copies of these books to review. Amazon links are affiliate. 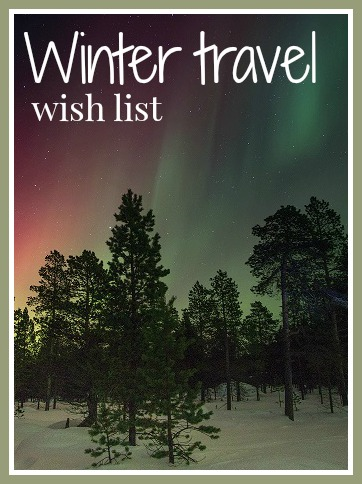 I must admit that when it comes to choosing travel destinations I generally tend to favour somewhere nice and warm with plenty of sunshine, but over the last few years, thanks to reading travel blogs and the ever-present lure of Pinterest inspiration I've gradually built up a list of destinations that look amazing for a winter holiday. 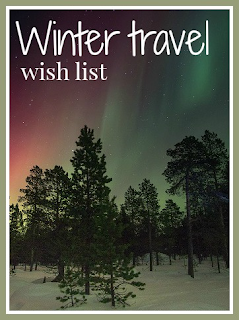 So I thought that I'd share my winter travel wish list! 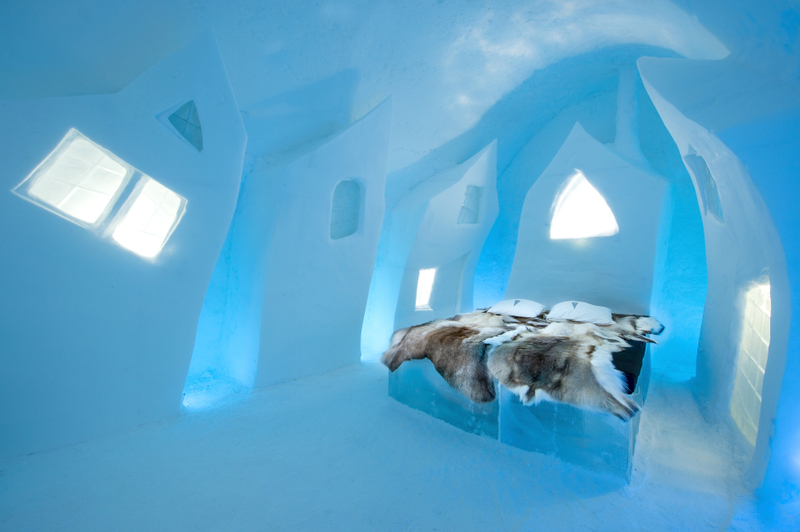 My first wish is to stay in an Ice Hotel. The original is the Ice Hotel in Sweden, and while it does offer both warm and cold rooms, I'd have to stay in one of the ice rooms for the experience, at least for one night. A standard Ice Room is -5 to -8 degrees Celsius, which does sound a bit on the chilly side, and you sleep on an ice bed with a mattress and wooden base covered in reindeer hides, sleeping in a thermal sleeping bag and thermal pajamas. The rooms have curtains instead of doors and are just for sleeping in, with bathrooms and luggage storage located in the warm part of the hotel. In the morning you are woken with a cup of hot lingonberry juice, and you can have a sauna and hot shower before breakfast. The whole hotel looks pretty spectacular, and because it is rebuilt every year in November it's always changing. There are all sorts of activities that you can take part in, like ice sculpting, Northern Lights tours, and you can even arrange your transfer from the airport by dog sled, it all sounds amazing! 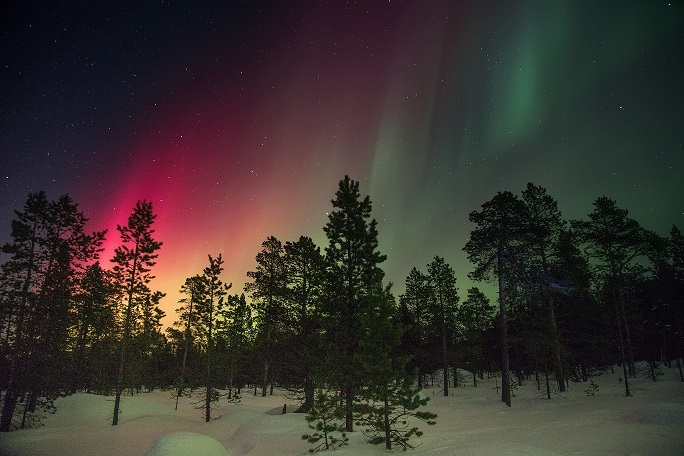 Of course a key reason to travel up into the Arctic is to see the Northern Lights. I have been lucky enough to see them when we visited Iceland a few years ago, but because we visited in April it was only a very small display, and we had to wait until about 11pm for it to get dark! Since I read Neither Here, Nor There (affiliate link) by Bill Bryson I have been fascinated by the idea of visiting Hammerfest, the northernmost town in Europe. Bryson wasn't that enamoured with his trip there, having to take a 30 hour bus journey from Oslo and spending several weeks in near constant darkness waiting for the best display of lights, but since I read the book the place name has stuck with me and I'd love to visit one day. Another place that I'd love to stay is the Kakslauttanen Artic Resorts in Finnish Lapland, located 250km north of the Arctic Circle but with an airport just 30 minutes away. 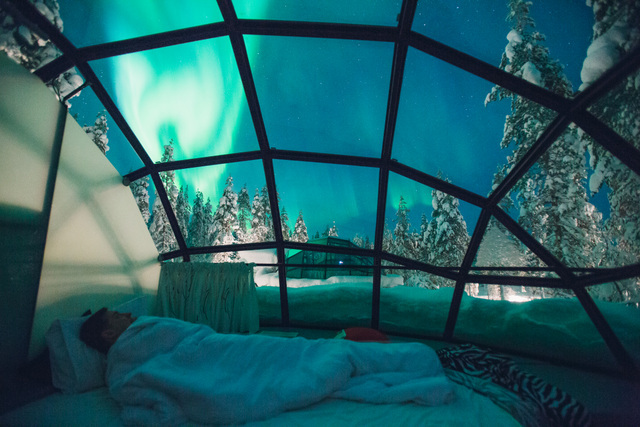 It's one of the best places in the world to see the Northern Lights, and although there are a variety of accommodation options it's the Glass Igloos that really appeal. You can have a two or a four person igloo, and you can snuggle up and watch the lights through the ceiling. At the resort you can also stay in a snow igloo or a luxury log house, and you can even visit Santa's Home and meet him. 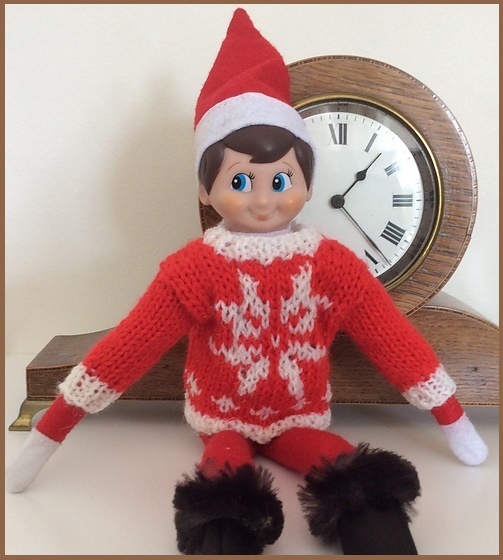 Talking of meeting Santa, I'm hoping that one day we might be able to take the children on a day trip to Lapland. It's tricky, because I think that it might be a bit much for them while they are very little. This blog post from Little Lily Pad Co gives a very honest look at the experience - Is Lapland suitable for young children? - and so I think it's probably one to leave for a few years yet, but I'd love to manage it one day before they get too old! Finally, a bit closer to home, I do love a Christmas Market, and although I've been lucky enough to visit a few over the last few years both in this country and in the rest of Europe, I can never turn down a mug of mulled wine and a gingerbread heart, and so I'd love to visit a few more of the traditional markets! If you are looking for ways to save money on your travels, you can find some discount codes here. Are any of these on your travel bucket list? Or are you lucky enough to have visited already? I'd love to hear about it! We love crafting with Hama beads, and I'm always looking out for a seasonal excuse to come up with some new ideas. Halloween designs are a lot of fun, and a great way to repurpose some of the pegboards and use them in a slightly different way. 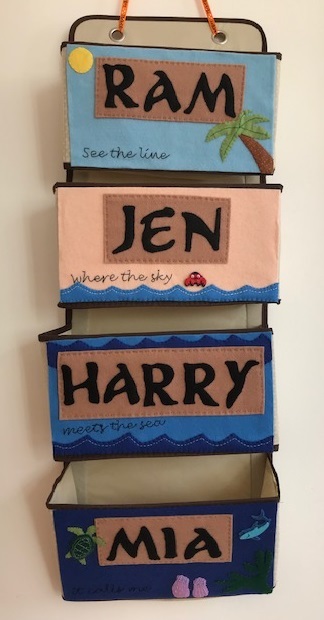 For example, the Hama bead house pegboard is a really versatile pegboard anyway, and we've come up with lots of different Hama bead house designs. But one of my favourites is our spooky Hama bead Halloween house, complete with bats and pumpkins. Of course, you could always step it up a gear, and I have seen some amazing examples of 3D Hama bead Halloween houses. On the Perler website you can find a free downloadable template for a 3D haunted house display - Perler Haunted House. I've also seen photographs of this incredible large 3D Haunted House from Hama beads - there are no instructions although you could probably work it out from the photos - what a lot of beads you'd need though! 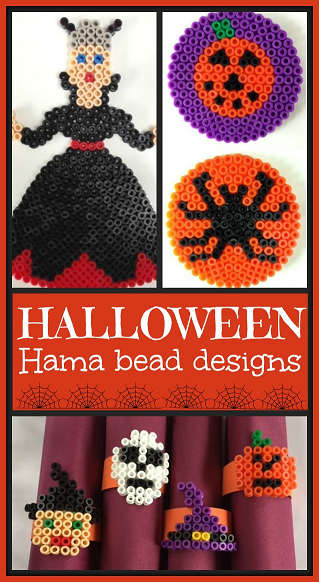 Another pegboard that we repurposed with a Halloween theme was the Hama bead Princess pegboard - instead of pretty princesses we made some scary Hama bead witches! You can really let your imagination run wild as the template is very versatile, instead of a crown you can make a horned helmet, and you can make dresses in different lengths to show off some traditional stripy tights. The finished witches make a great display by themselves, or else you can make them their own Halloween Hama bead witch display using a shoebox lid, black paint, plenty of glitter and a battery powered tea light candle. These would be fun to display inside a window to amuse trick or treaters. If you are hosting a Halloween party then you can use Hama beads to make some fab decorations. 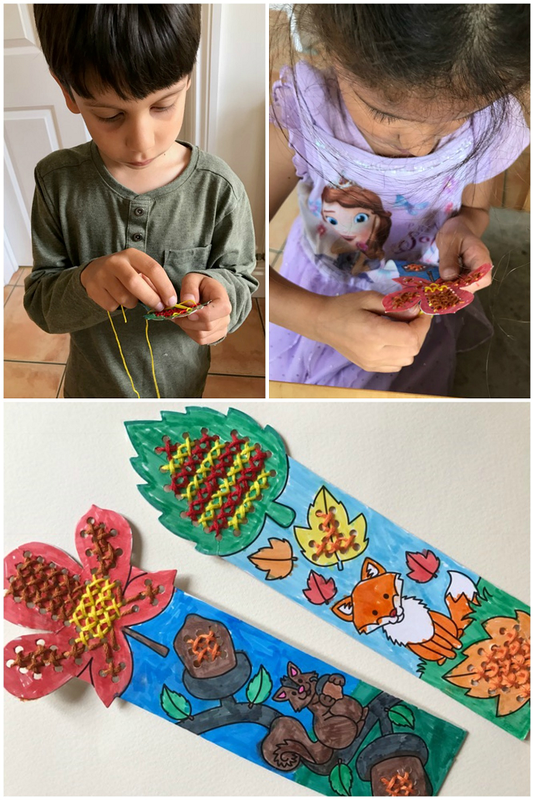 Penny from Penny Blogs made some fantastic Hama bead pumpkin bunting as well as lots of other Hama bead Halloween crafts. The pumpkins look great all lined up in a row. 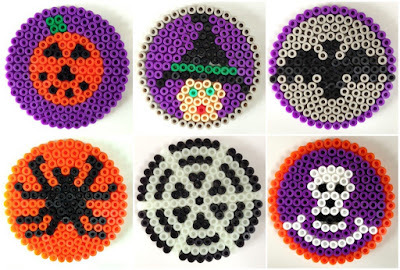 If you are serving drinks, these Halloween Hama bead coasters would provide a nice finishing touch, and their really simple design means that even very young children can be involved in making them - even if you just give them a pile of beads in Halloween colours and let them fill up a small circular pegboard however they like. 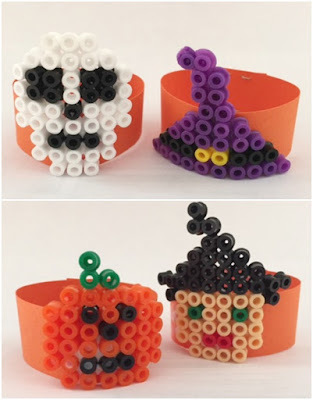 Finally, when it comes to serving the food, why not provide your guests with Halloween Hama bead napkin rings for their serviettes. These curved designs look fab, and are really easy to make by bending your design while it is still warm. I hope that you liked my ideas and that they have inspired you in some Halloween Hama bead crafting! If you enjoy crafting with Hama beads you can find all my Hama bead designs on my Hama bead page. With my children being half-Indian I'm always keen to interest them in and teach them about their inherited culture. Stories are a great way to do this, and so I was delighted to review this new collection of Indian folktakes, retold by Chitra Soundar. A Jar of Pickles and a Pinch of Justice (affiliate link) contains a selection of funny trickster tales, perfect for introducing Indian folktales and culture to a wide audience. Aimed at young readers aged 6+, there are four stories in the book, along with plenty of black and white illustrations to break up the text. The language isn't too difficult for children that are building their reading confidence, and the tales are full of humour and colour. Harry really enjoyed reading this book, with stories about jewels that have turned into pickles and the washerwoman who is set the task of washing the king's elephants until they turn white. It's a great book for little ones. I received this book in exchange for a review, Amazon links are affiliate. We started with these lovely Autumn Cross Stitch Bookmark Kits. I must admit I wasn't sure that the children were quite old enough, and so I was delighted when Harry (7) picked it up immediately and Mia (5) wasn't far behind! I do love cross stitch, and these little kits are the perfect introduction to the craft. The bookmarks have large holes in a simple grid design and because the areas to be stitched are quite small the children didn't get bored, in fact having finished one they were clamouring to do another one! The designs are really sweet and come with plenty of thread. I think at just 69p each they represent fantastic value for money! To colour in the bookmarks we used these Fab Fibre Tip Pens, at a great price for felt pens in a lovely range of colours. Next up was these Owl Jewel Decoration Kits. 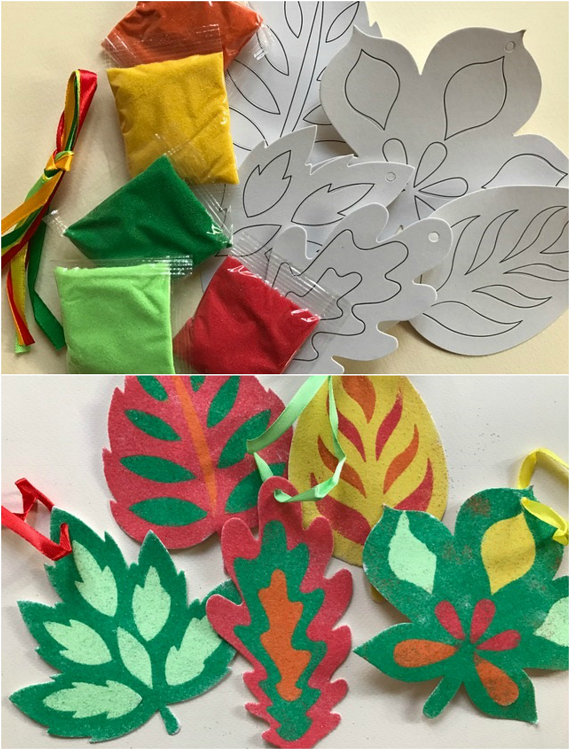 This is a really simple craft, and very easy for even the youngest crafters as all the pieces are self-adhesive so you don't need to worry about any glue mess. They are so sweet and look lovely hanging up in our kitchen window! Then we moved onto the Leaf Sand Art Decorations. I'm always a bit wary of any craft involving sand, but having tried out several of the Baker Ross sand art crafts I've been converted! 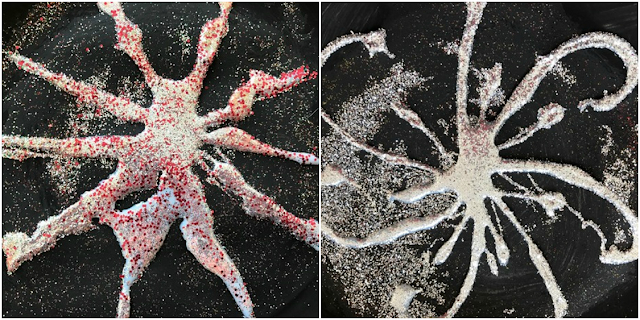 These sand art kits use a self adhesive printed design, and you peel away a different part of the image at a time to sprinkle on the sand and press it down to cover all the adhesive. The sand sticks firmly and remains in the area that you've chosen for it, producing a really bright and colourful finished product. Perhaps not strictly Halloween, but these sweet little Day of the Dead Colour-in Mini Gift Bags are perfect for little treats, or carrying about your treasures. These would be great as party favours that children could colour in at the party and then fill with sweets to take home. This Halloween Dotty Art is a brilliant activity for after school, or whenever children need a bit of quiet time with minimal intervention. There are coloured stickers in three different sizes and eight different designs with circles that need to be filled with the stickers. This kept my children busy for ages, and because there are several sheets of stickers in each colour there were plenty to go around and they weren't fighting over them. I also love the Haunted House Photo Frame Magnet Kits. Again, all the pieces are self-adhesive, so you don't need any glue, and there is very little mess. They'd be ideal for the fridge or radiator, and although my children made Happy Halloween signs to go inside they'd also be great with a photograph of the child as a Halloween gift. 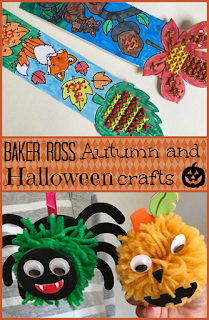 Finally we made some Halloween Pom Pom Decoration Kits. The children didn't really have the patience for pom pom making last time we tried, but this time they both got on really well with it and were very pleased with the result. The pom pom decorations are very sweet and they will look fab hanging from our Halloween tree. I found that it was quicker to make the pom poms if I doubled up the yarn, and so it didn't take too long to finish them. This Halloween coaster craft was originally published as a crafty guest post over at All You Need is Love and Cake. As you'll know I love crafting with Hama beads, and any seasonal occasion is an excuse for me to break them out and see what I can come up with. 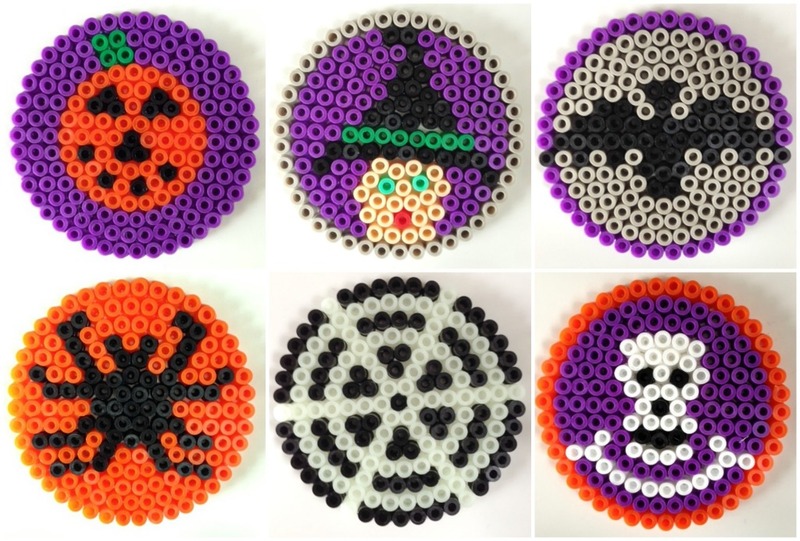 Halloween is no exception, and so today I'm sharing the Hama bead coasters that I made - perfect for popping under drinks at your Halloween party, or just if you are feeling in the mood for a spooky atmosphere! All these designs are made using the small circular pegboard . If you have a large circular board you could make them slightly larger by increasing the number of rounds used as a border. This size is perfect for coasters. It's also a really easy size and shape for very little ones to work with, so if you have a younger child you could just provide them with the pegboard and a selection of beads in suitable, spooky colours and see what they come up with. The glow in the dark Hama beads are great for creating and enhancing some of these designs, I used them for the spider's web and they'd also work really well for the skull or the borders. Have fun creating! Making Hama bead witches using the princess pegboard - instead of princesses why not make witches! These are really easy to make, but you'll need to stock up on the black and purple beads because it does take a lot of them! 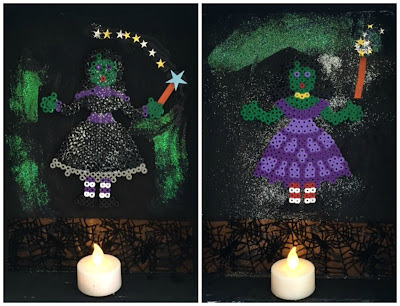 A Hama bead witch display - this simple display uses the witches that I made above along with a battery tea light candle to really show them off in a glittery shoebox lid background. 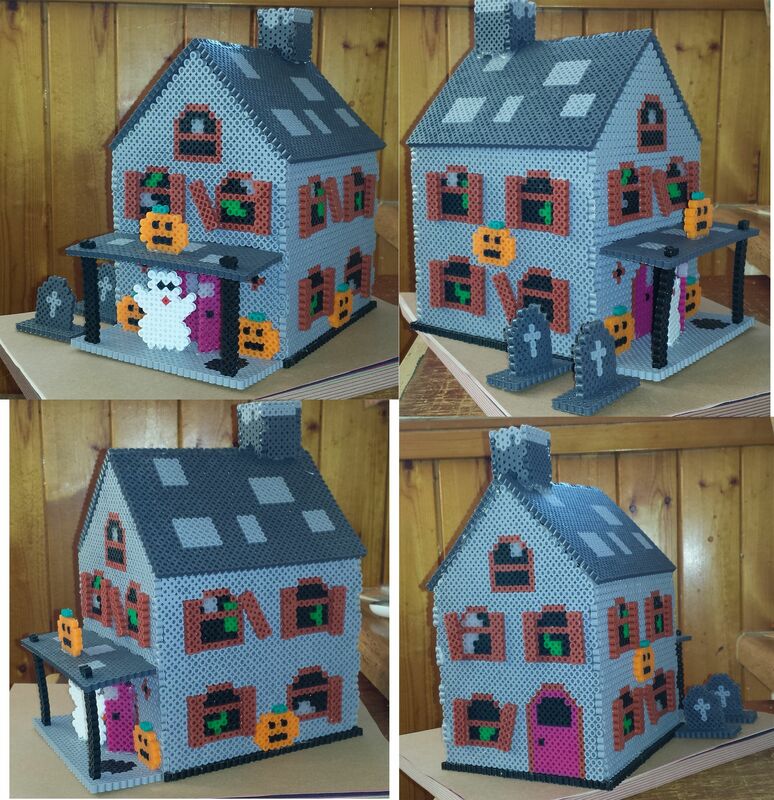 Haunted House made with Hama beads - using the house pegboard but with a Halloween twist. Hama bead table napkins for Halloween - another way to liven up your Halloween dinner table, or just use them as standalone simple decorations. Amazon links in this post are affiliate. The theme for my Bostik Bloggers craft box this month was Bonfire Night, and with a package full of glittery, shiny things, I knew that it would have to be firework related. So we made a Bonfire Night firework display in a box! Remove the top flaps from the box. You may need to tape the bottom flaps down inside the box to hold them in place securely. Then paint the box black, both inside and outside. When the paint is dry, use the Blu Tack glitter pens to add some extra sparkle to the inside and outside of the box. I find the best way to use the pens over a larger area is to squeeze them out onto a palette (I use old margarine tub lids) and use a brush to apply generously. I went for blobs of colour to look like fireworks, but you could go for a more general sprinkling. 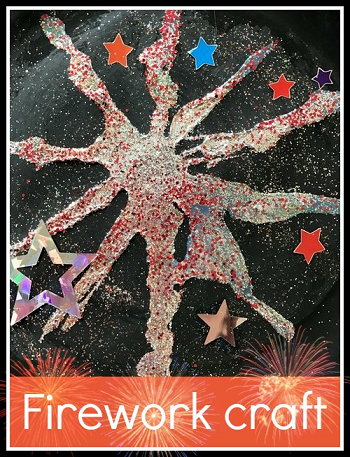 Glue your sparkly firework things to the inside and outside of the box using plenty of Bostik White Glu to stick it all down securely, especially on the pom poms. 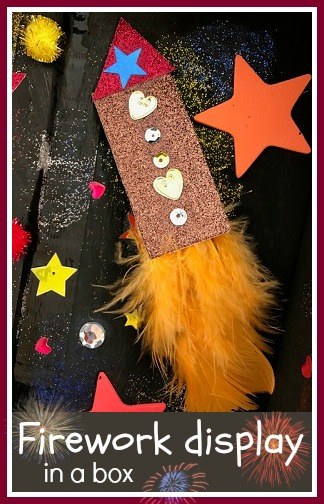 You can make rockets by cutting shapes from glittered card and using orange feathers or ripped up tissue paper to make flames at the bottom. Make sure that you leave them to dry before placing them inside the box. When it's all arranged and stuck down, place your firework display somewhere prominent and enjoy! If you are inspired to have some more firework fun why not try making a Firework Sensory Tub. We were recently sent the Disney Castle 3D Puzzle (affiliate link) from Ravensburger to review. It's a 216 piece jigsaw puzzle with a suggested age range of 12-99 years, and the finished model is a beautiful Disney castle, decorated with more than 100 Disney characters depicted in scenes across the sides and turrets. ...and the princesses can be found dancing around the base of the castle. Classic Disney characters like Mickey Mouse and his friends can be found above the main entrance and some of the more villainous characters are relegated to the back of the castle. The puzzle is assembled with the help of a detailed instruction booklet, and it's definitely one that is aimed at the more experienced jigsaw assembler. The 216 actual jigsaw pieces only form the central rectangular part of the castle - the turrets, sides of the towers and so on are formed from moulded plastic pieces which are slotted into position. The jigsaw pieces themselves are numbered on the back, and so it's not too difficult to work out how to fit them together. For an extra challenge you can ignore the numbers and assemble by eye or by using the picture in the instruction book. All the jigsaw pieces are made from strong plastic and there are hinged pieces to form the corners. The finished model is really sturdy, and can easily be moved around without breaking. It has large balconies and a portcullis gate, and Mia enjoyed playing inside it with some of her little toys. Because some of the pieces are quite large the storage box is also fairly big. It's a really lovely design for a Disney fan to put together, and we'll certainly be leaving it assembled for a little while so that we can appreciate all the detailing in the finished product. I received this puzzle in exchange for a review. Amazon links are affiliate.